ST. LOUIS, Mo. – Ameren Corporation announced on Wednesday third-quarter 2018 net income attributable to common shareholders in accordance with Generally Accepted Accounting Principles (GAAP) of $357 million, or $1.45 per diluted share, compared to third quarter 2017 GAAP net income attributable to common shareholders of $288 million, or $1.18 per diluted share. Excluding certain tax-related items discussed and outlined in the table below, Ameren recorded third quarter 2018 core net income of $370 million, or $1.50 per diluted share, compared to third quarter 2017 core net income of $302 million, or $1.24 per diluted share. The increase in year-over-year third-quarter earnings reflected higher Ameren Missouri electric retail sales primarily due to warmer summer temperatures compared to near-normal temperatures in the year-ago period, as well as earnings on increased infrastructure investments made at Ameren Transmission and Ameren Illinois Electric Distribution. The comparison also benefited from a timing difference between income tax expense and revenue reductions at Ameren Missouri related to the federal Tax Cuts and Jobs Act of 2017 (TCJA). This timing difference is not expected to impact full-year results. These favorable factors were partially offset by increased Ameren Missouri other operations and maintenance expenses. 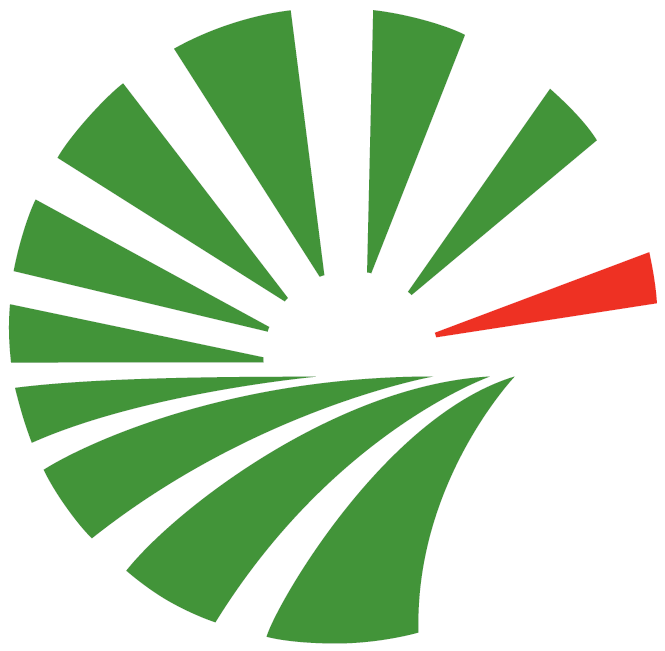 Ameren recorded GAAP net income attributable to common shareholders for the nine months ended Sept. 30, 2018, of $747 million, or $3.04 per diluted share, compared to GAAP net income attributable to common shareholders for the nine months ended Sept. 30, 2017, of $583 million, or $2.39 per diluted share. Excluding certain tax-related items discussed and outlined in the table below, Ameren recorded core net income for the nine months ended Sept. 30, 2018, of $760 million, or $3.09 per diluted share, compared to core net income of $597 million, or $2.45 per diluted share, for the nine months ended Sept. 30, 2017. The increase in the year-over-year nine-month earnings reflected higher Ameren Missouri electric retail sales, primarily due to colder winter and warmer summer temperatures, higher Ameren Missouri electric service rates, effective April 1, 2017, as well as earnings on increased infrastructure investments made at Ameren Transmission, Ameren Illinois Electric Distribution and Ameren Illinois Natural Gas. The comparison also benefited from a timing difference between income tax expense and revenue reductions at Ameren Missouri related to the TCJA. This timing difference is not expected to impact full-year results. These favorable factors were partially offset by increased Ameren Missouri other operations and higher maintenance expenses. A non-cash charge for a true-up to the revaluation of deferred taxes associated with the TCJA resulting primarily from recently issued regulations related to bonus depreciation, which decreased earnings for the third quarter and first nine months of 2018 by $13 million. A non-cash charge, at the parent company, for the revaluation of deferred taxes resulting from a July 2017 change in Illinois law that increased the state’s corporate income tax rate, which decreased earnings for the third quarter and first nine months of 2017 by $14 million. A reconciliation of three-month and nine-month GAAP to core earnings can be found in the table here. Ameren raised its 2018 GAAP earnings guidance range to $3.30 to $3.40 per diluted share, compared to the prior range of $3.15 to $3.35 per diluted share, and established its 2018 core earnings guidance range at $3.35 to $3.45 per diluted share. Core earnings guidance excludes the third quarter charge for the true-up to the revaluation of deferred taxes associated with the TCJA. GAAP and core earnings guidance for 2018 assume normal temperatures for the last three months of this year and are subject to the effects of, among other things: 30-year U.S. Treasury bond yields; regulatory, judicial and legislative actions; energy center and energy distribution operations; energy, economic, capital and credit market conditions; severe storms; unusual or otherwise unexpected gains or losses; and other risks and uncertainties outlined, or referred to, in the Forward-looking Statements section of this press release. Ameren Missouri third quarter 2018 GAAP and core earnings were $294 million and $298 million, respectively, compared to third quarter 2017 earnings of $234 million. Core earnings in 2018 excluded a $4 million non-cash charge for the true-up to the revaluation of deferred taxes. The increase in year-over-year earnings reflected an approximately $40 million timing difference between income tax expense and revenue reductions related to the TCJA. This timing difference is not expected to impact full-year results. The comparison also benefited from higher electric retail sales primarily due to warmer summer temperatures compared to near-normal temperatures in the year-ago period. These favorable factors were partially offset by increased other operations and maintenance expenses. Ameren Illinois Electric Distribution third quarter 2018 GAAP and core earnings were $35 million and $38 million, respectively, compared to third quarter 2017 earnings of $31 million. Core earnings in 2018 excluded a $3 million non-cash charge for the true-up to the revaluation of deferred taxes. The year-over-year improvement reflected increased earnings on infrastructure investments, as well as a higher allowed return on equity due to a higher average 30-year U.S. Treasury bond yield in 2018 compared to 2017. Ameren Illinois Natural Gas reported no third quarter 2018 GAAP earnings and third quarter 2018 core earnings of $1 million, compared to third quarter 2017 earnings of $2 million. Core earnings in 2018 excluded a $1 million non-cash charge for the true-up to the revaluation of deferred taxes. Ameren Transmission third quarter 2018 earnings were $48 million, compared to third quarter 2017 earnings of $38 million. The year-over-year improvement reflected increased earnings on infrastructure investments. Other results, which includes items not reported in a business segment, were a GAAP and core loss of $20 million and $15 million, respectively, for the third quarter 2018, compared to a GAAP and core loss of $17 million and $3 million, respectively, for the third quarter 2017. Core results for 2018 and 2017 excluded non-cash charges that decreased earnings by $5 million and $14 million, respectively, reflecting the revaluation of deferred taxes. The decrease in year-over-year core results primarily reflected lower net state and federal income tax benefits.